On this website, we have many different types of brain teasers. 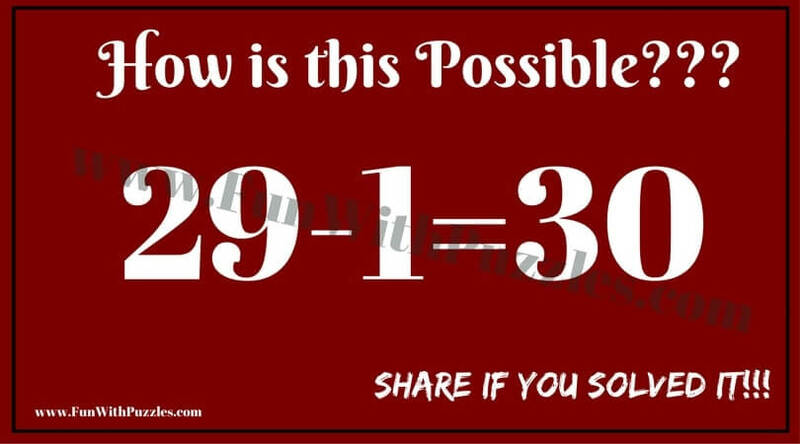 There are many Mathematical Brain Teasers which will test your Maths skills. 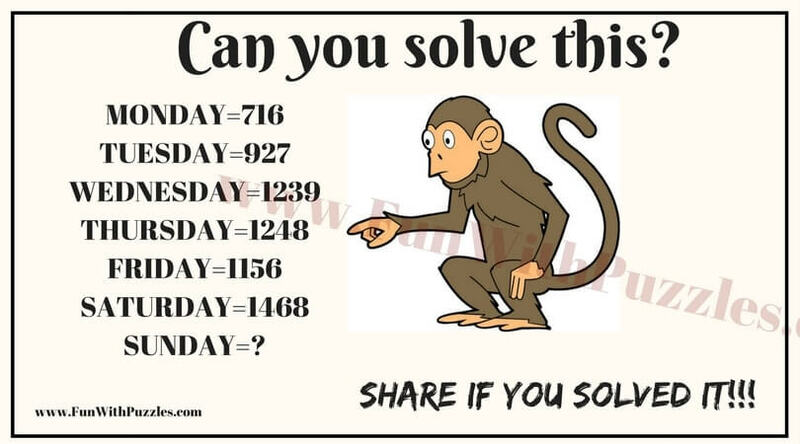 There are many Logical Brain Teasers which test your logical abilities. 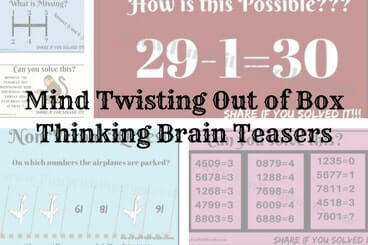 There are many different types of Visual Brain Teasers to test your Observation Skills. 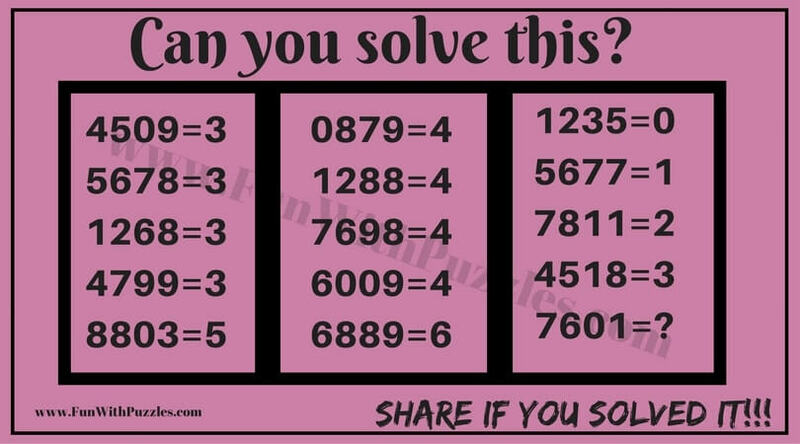 Now its time to post some brain teasers which are a mix of all these types of brain teasers and will require some out of box thinking to solve these puzzles. 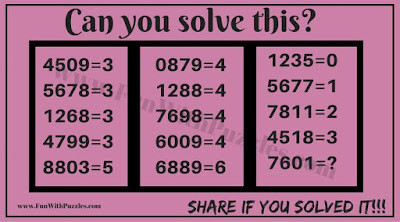 In these brain teasers, you need to think out of the box to find the answers for these puzzles. 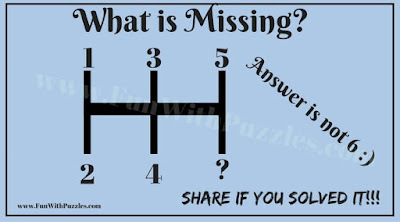 These puzzles will also test your mathematical, logical as well as visual observational skills. 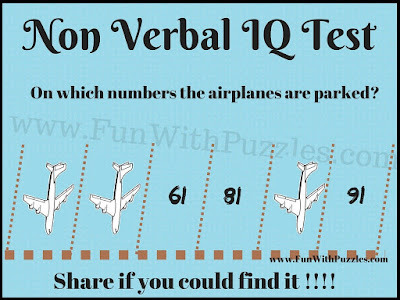 Along with these skills, most of these brain teasers will test your lateral thinking abilities. 1. 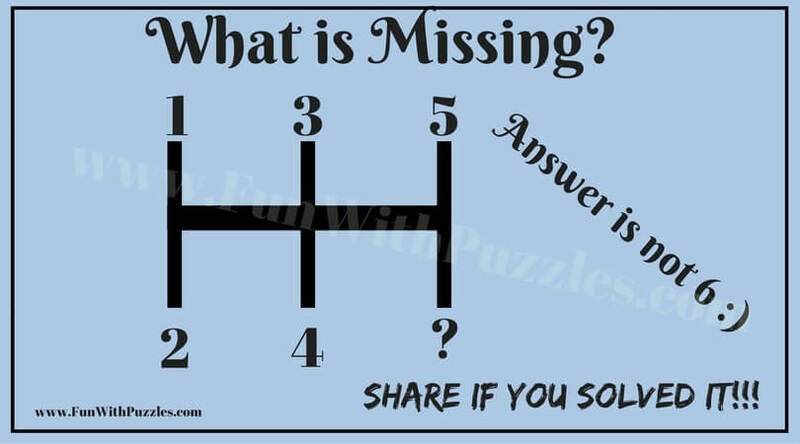 Can you tell the missing number? 2. Can you tell How is this Possible? 3. 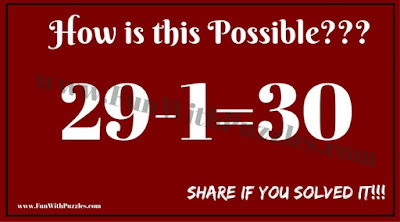 Can you solve this out of the box thinking brain teaser? 4. On which numbers, the aeroplanes are parked? 5. Can you find what is missing? 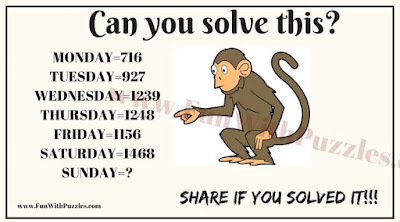 Here is the answer to 22nd Brain Teaser Question of the post titled "Out of Box Thinking Fun Brain Teasers with answers to Challenge your Mind ". I have hidden this answer of this brain teaser to avoid any spoiler. Do select the text below to read the answer. Take a half tablet of each.